Prior to making big decisions in our daily lives, we all do some sort of homework or research to help us decide whether or not we want to purchase something. Before picking which University to attend, we research the various pros and cons of numerous schools before settling on an alma mater. Before buying a car we do comparison shopping and take a few test drives to solidify our choice. It is no different with buying real estate. Real estate due diligence is fundamentally researching and verifying the accuracy of a property’s details prior to acquisition. With every investment there are risks. A sure way to help minimize risk is to perform the proper research. This allows us to understand how the property is operating before jumping in to purchase it. It is an absolutely critical component of the acquisition process. What Does Real Estate Due Diligence Involve? Real Estate Due Diligence involves a substantial amount of materials that need to be reviewed such as …. These are just a few of the materials that need to be carefully audited. Property inspections are also an important requirement. It can be overwhelming if you don’t know what to expect. That is why Simple Acquisitions uses a very detailed checklist with every potential purchase. We perform our real estate due diligence, well diligently, and leaves no stone un-turned. A big deterrent for many people who consider investing in real estate is performing the laborious efforts involved in pre and post-acquisition. We do the due diligence so you don’t have to. Having the time and know-all to perform the real estate due diligence and understand all the material can be unattractive despite the potential payoff that could ensue. Simple Acquisitions recognizes this, We take that effort out of the equation for our private lender partners by providing that service for them. They are afforded the opportunity to participate in a real estate purchase without having to do all the work that comes with it. When we perform the due diligence, we don’t keep our lenders partners in the dark. We do offer to share due diligence materials if they wish to see them. They can then decide whether or not it is a venture in which they wish to participate. In this regard Simple Acquisitions ensures openness and transparency in all its offerings. With every investment there are risks. So a sure-fire way to help minimize risk is to perform the proper research and understand how the property is operating before buying it. What Data Can You Trust? We would all like to think that every seller is forthright, honest, and would not provide padded numbers to make the property look more appealing to buyers. Unfortunately that is not always the case. These potentially padded numbers, which are also known as Pro forma numbers, are quite common in real estate. So, the onus rests on us, the potential buyer, to do the proper analysis. We need to investigate the deal from all angles to make sure it makes sense before acquiring the property. We never take proforma numbers at face value and always do all the analysis on our own. In addition, we base our purchase price on the current financials, not on how good the financials “could be”. Typically this is what the proforma numbers try to portray. Pro Forma – Disguised numbers? As potential new property owners, we don’t want to inherit all of the property’s shortcomings, so it’s important to know what we will be getting into. Doing our homework could be the determining factor in whether or not the deal we are analyzing is good, bad, or downright ugly from a profit’s perspective. 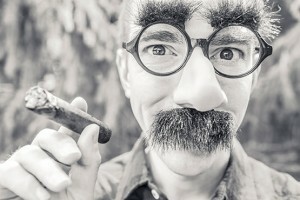 When Does Real Estate Due Diligence Begin? 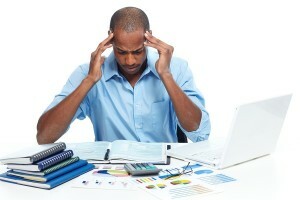 Many people think that Real Estate Due Diligence starts once the property is under contract, but that is not the case. It actually begins during the contract negotiations. Our Company ensures we provide ourselves with ample time to be able to complete all the required due diligence. It can be 30 – 90 days depending on the property. We ensure the clock does not start until we get the last piece of material is provided to us. Proper clauses are included that provide us the ability to terminate the Agreement at our sole discretion. We also ensure we receive back the Earnest Funds Deposit upon delivery of a termination notice to the seller prior to the end of the Due Diligence Period. By requiring our written acceptance of the due diligence items, we maintain control of the deal. When you are negotiating, you always want to be in control. If you want to take control of your investments and work towards your financial freedom then consider partnering with us. If you would like to more about what’s involved with real estate due diligence. Contact us! We’d be happy to discuss it with you. 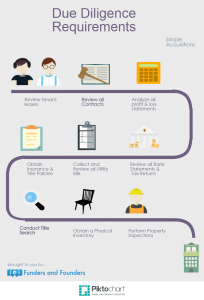 If you want to see what level of detail does into our due diligence process download this real estate due diligence check list . If you like this, Share with others on Facebook and Twitter!